Well, that’s the thing…he did! 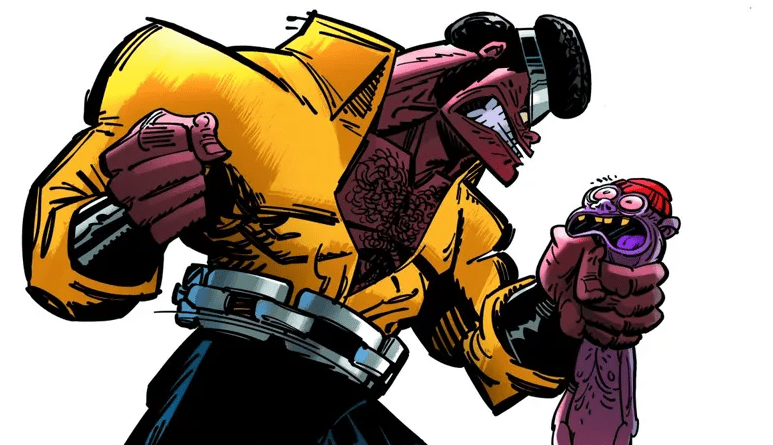 He created a mini-series for Marvel a while back that focused on the “Hero for Hire”, Luke Cage! But it would take the then impending release of the Netflix series for it to finally see a proper release. And BOY HOWDY was it worth the wait! Set during either the late 70’s or early 80’s (The Dark Phoenix Saga is intentionally mentioned) we see Luke Cage trying to find a group of his friends/heroes who have been mysteriously abducted by the equally mysterious (and funny looking) Doctor Soos, who wants Cage and his friends to battle his monstrous animal hybrid army! Why does he want to do this? And will Cage be able to defeat him, save his friends, and get home for a proper bowl of noodles? Well dive in and see for yourself! PREVIOUS POST Previous post: Do We Need Superheros with REALISTIC Body Styles?